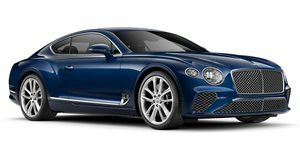 We’ve seen plenty of Bentley Continental GTs over the years, and the BR-10 RS package that Vorsteiner introduced back in 2013 is one of the classiest aftermarket programs out there. First revealed in white on a V8 model, the Californian tuner has now unveiled the body kit on a W12 Monaco Yellow and we think the luxury Grand Tourer looks stunning. In fact, this could be the best looking Conti GT we've ever seen. The kit is forged from pre-preg carbon fiber and consists of a new front bumper with spoiler lip and large air intakes, side skirts with blade inserts, a subtle deck-lid spoiler, new rear bumper with air outlets and a massive diffuser. Rounding off the new look is a set of monblock alloys, available from 20-22 inches in size.